Don’t care for yet another Caesar? Make the tequila version, and while you’re at it, skip arranging a Halloween party and make it a Dios de la Muerte affair. Note: you may have to make a trip to the Mexican grocery store. 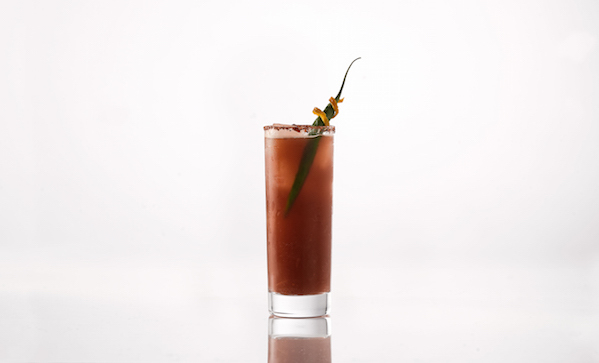 Pour tequila, clamato, orange juice, lime juice, cholula, salt and pepper into shaker, shake and fine strain into a Tajin rimmed glass. Top with soda and garnish with a tall green chile.